Philadelphia Eagles quarterback Carson Wentz will not play in Week 1 against the Atlanta Falcons. In fact, it could be much longer than that. Wentz tore his ACL late in the 2017 season. Being inactive for the game against Atlanta was expected. But according to NFL Media’s Ian Rapoport, it could be “several weeks” before Wentz is activated. Long term, it’s certainly understandable. The last thing Philadelphia would want to do would be to jeopardize the long-term health of the franchise quarterback. Despite a dismal preseason from Nick Foles the Eagles should be okay in the short term, as well. Foles was obviously good enough to guide the boat in the right direction in 2017. While he’s clearly not as good as Wentz, he’s better than most backups. 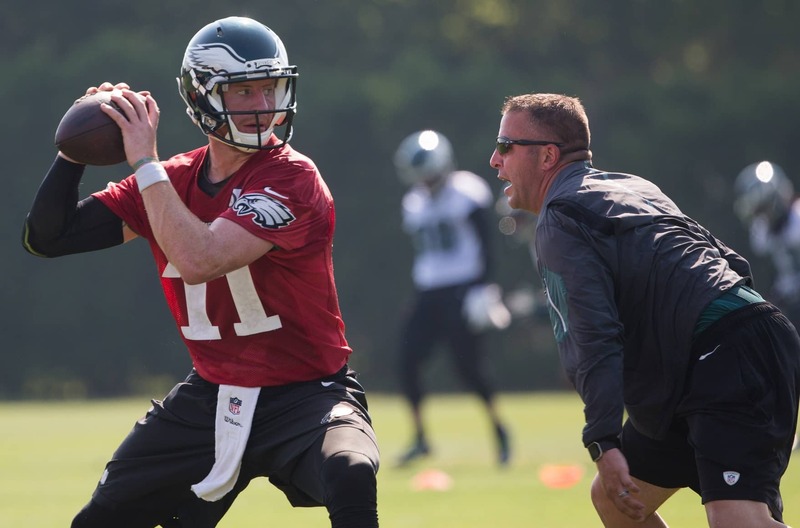 Wentz was an MVP candidate in 2017 before getting hurt. In 13 games, he had completed 60.2 percent of his passes for 3,296 yards with 33 touchdowns and only seven interceptions. Wentz also added 299 yards on the ground.